18kt Gold and Sterling Silver bracelet adorned with 0.21ct Sapphires and 0.09ct Diamonds. Adorned with intricate filigree work, this bracelet is reminiscent of the early-twentieth century in Egypt when every piece of jewellery was drawn and documented by the Department of Hallmarks and Measures. 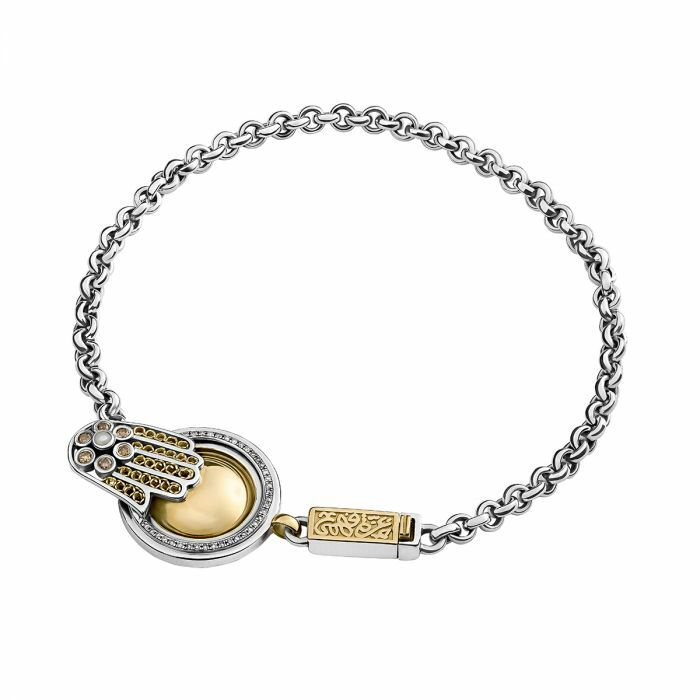 The ‘Azza Fahmy’ logo on this piece is inspired by the hallmarking logo of that time.